Different payment options are available. Scholarships are available. Please ask us about our Scholarship Programs. If you pay your tuition in advance USAl offers discount rates. We can also offer other financial arrangements according to your personal needs. We are now accepting applications for Fall Semester 2019. Our Admissions Committee meets monthly through the admissions process. Our deadline: May 30, 2019; applications submitted after this date are considered on a space-available basis. Accepted students are required to submit a 300€ deposit/fee that will be applied to their tuition, with the remaining balance of 3,500€ due on September 1, 2019. For more information on our Global and International Studies MA degree programs, please complete the form below. We will get back to you as soon as possible. Thank you.  The University of Salamanca General Foundation is officially in charge of processing the administrative portion of your application. Therefore, in order to start the registration process you will be redirected to the official Foundation site. Here is an image of the Foundation website that you are about to access. The Foundation site will open in a new window. This window will allow you to finish your registration and payment options.